UNB have released a 2nd MV teaser for their re-debut. The top 9 boys of KBS 2TV's 'The Unit' will be debuting on April 7 through their 1st mini-album, 'Boyhood'. They've been dropping many teasers, and we now have their 2nd video teaser which showcases a snippet of the song as well as the sentence, "The wings that were spread after a long wait dye the entire sky white," written in FeelDog's handwriting. 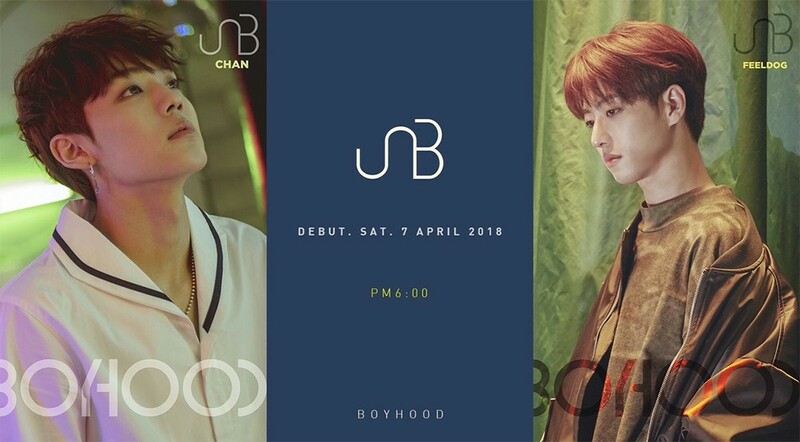 You can also check out Chan and FeelDog's teaser image above, and catch their 2nd teaser video below.